Google finally unveiled Android 4.3 at today's breakfast event with Android and Chrome head Sundar Pichai. Still dubbed Jelly Bean, this update follows in the footsteps of versions 4.1 and 4.2: it introduces a couple of major features and a handful of smaller ones without drastically altering the Android experience introduced back in version 4.0. More follows. . . ..
ramu xperia T getting 4.3 ??? 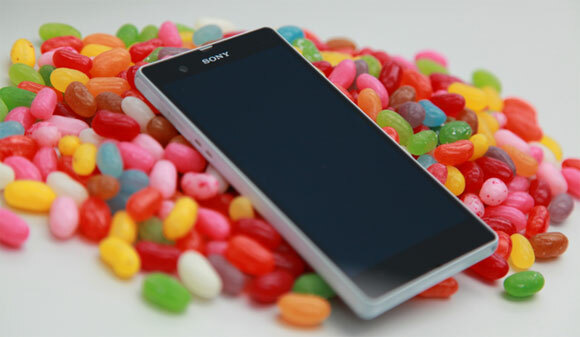 Some older Xperia phones running Android 4.1 are still under examination. There's a possibility that at least some of them will be updated straight to Android 4.3, but no names have been confirmed yet. Additionally, Sony acknowledges that its updates haven't been "as succinct or as timely as you might’ve expected." The company's developers have now changed their workflow to assure that future updates arrive faster. The whole procedure is detailed in a lengthy and educational blog post, in case you are interested. xperia T only get 1 update 4.0.4 to 4.1.2 it sholud get 4.3 ! Xperia TX would be nice to get this as well. Maybe the XDA community will produce a clean build where you can add the Sony components on afterwards. Here's to hoping. I'm no longer a fan for Nexus branded devices and I no longer believe in the plain 'vanilla' android philosophy! Neither do I. Lost interest in 'Vanilla Android' when I got the GS3 and even more so when the Note2 landed with it's SW features, made me truly appreciate what these OEMs do with Android.